New guidelines could impact cardiovascular practice. Results presented at the European Society of Cardiology Congress in August sparked debate ahead of new guidelines for the diagnosis and management of patients with stable ischemic heart disease. 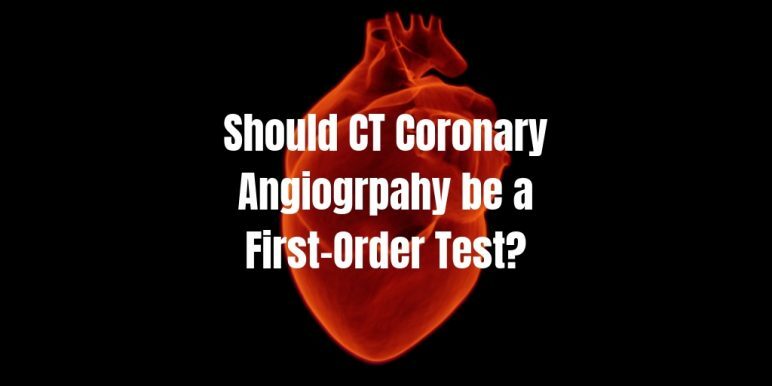 Should the U.S. follow the UK in making CT coronary angiography a first-order test for the diagnosis of stable angina? Headline grabbing results from the five-year SCOT-HEART update showed conducting CT coronary angiography (CTA) in patients with chest pain to be superior to standard care, even reducing rates of heart attack over a five-year period by 41 percent. This question could have a massive impact on practice, and U.S. physicians eagerly await new consensus guidelines for patients with stable ischemic heart disease, due out this Fall. Following these impressive results, new guidelines could follow suit with the National Institutes for Health and Care Excellence in the United Kingdom, which recommended in 2016 that CT angiography be a first-order investigation for patients with stable chest pain. Debate continues regarding CT coronary angiography. Positivity regarding CT coronary angiography does not extend universally, however. John M. Mandrola, MD for theheart.org on Medscape, along with Andrew Foy, MD, of the Penn State Heart and Vascular Institute, suggested five reasons to be skeptical of the SCOT-HEART results. One significant reason—increased uptake of preventative therapies does not plausibly explain the effect size CTA demonstrated in the data. But costs and radiation risk are also factors to consider—many experts are hesitant to demote stress-testing and standard care modalities which are cheaper to conduct, pose less of a radiation risk to patients, and may provide other valuable information to clinicians. “I don’t know that I would downgrade stress testing to a lesser class recommendation, the way the Brits have done, just move CTA up alongside them,” said Pamela Douglas, MD of Duke University to TCTMD. What do you think? Could new guidelines have a huge impact on practice? Leave a comment, below! Previous PostTransradial Access: where we areNext PostWhat’s Next for Your Career?